Sara Lein is an auntie to two sweet nephews, who spent their earliest years at A New Arrival, before being adopted by Sara’s sister and brother-in-law. Eli joined their family in 2005 at 1-1/2 years of age and JP arrived at age 12, following the earthquake in 2010. Since their arrival, Sara has had a heart for the people of Haiti and desired to spend time in Port au Prince, learning and living among the people that first cared for these boys. In the summer of 2011, Sara and her daughter Breelynn spent a month living in the orphanage, teaching an English class to the children in the Primary school. Sara has worked with children and teenagers in the public school system, as well as through church sponsored programs. Sara has been an educator for over 25 years across various settings, from southern California, to rural North Dakota, and to the urban district of St. Paul, Minnesota. 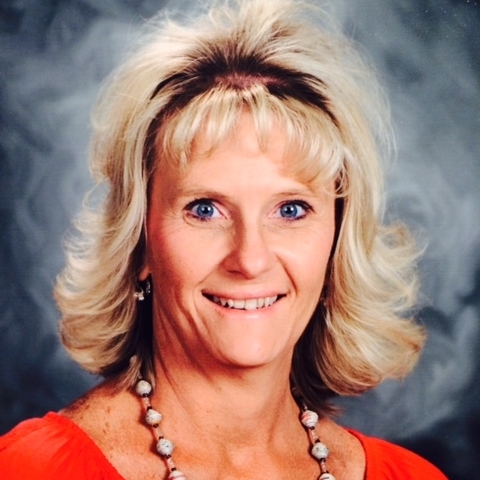 She has Bachelor Degrees in Elementary Education and Physical Education from Jamestown College, a Master’s Degree in Special Education from the University of North Dakota, and an Administrative license from the University of Minnesota. She is currently Director of Special Education in ISD 197 - West St. Paul/Mendota Heights/Eagan, supporting staff in the areas of curriculum, instruction, behavior management and Due Process guidelines. Sara and her husband Bob, also an educator, have one daughter, Breelynn, who is a social worker. Lori and her husband Scott are the proud parents of Avalon, JP, Faith and Eli. She has been connected to the work of A New Arrival Center since their son Eli joined their family in 2005. She has been an avid supporter and encourager to promote quality care for the children in our orphanage-school throughout the years. 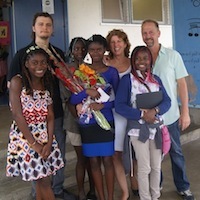 As an additional blessing, JP joined their family in January 2010, following the earthquake that rocked Port au Prince. Lori has worked in the field of education for 20 years, teaching in a middle school setting for 10 years, and most recently opening Celebrate Preschool at Celebration Lutheran Church in Sartell, Minnesota where she teaches the most adorable 4 and 5 year olds with her great pal Jill. She has a Bachelor’s Degree in Elementary Education, with a minor in Early Childhood from Jamestown College. The Schlecht household is an active place to be, following the crazy-fun sports/dance/music/academic activities of four kiddos! She desires to support the continuation of a school in the community that once was “home” to their sons at A New Arrival Center. Barbara was born and raised in Switzerland. In 1988 she moved to Los Angeles, where she and her husband started their family. Their oldest son was born that same year and a year later they had twin boys. When their sons were teenagers, they decided to adopt and were drawn to Haiti because of it proximity to the US and its devastating poverty. Their youngest daughter Stephanie came home in 2004, her older sister Daniella in 2005, Magdaline in 2006 and Vairleene in 2008. Their family is now complete and they are enjoying their grown up sons and teenage daughters! They live in Venice , California and own a furniture import business. Their goal is to stay in touch with Haiti, it’s wonderful people, the birth families of their daughters and help by supporting the primary school run out of the orphanage their girls lived in.Their family returned to Haiti in the spring of 2013 and they hope to visit soon again! Scott, Lori’s high school sweetheart and husband for 20+ years, works with his family’s business Crafts Direct, as the Store Manager. Scott uses his Bachelor’s degree in Business Administration from St. Cloud State University to work alongside his parents, brother and sister-in-law to run one of the finest craft retail stores in the area, that prides itself in giving back to the community, raising money for many great organizations each month, including the work of Kozefò. His passion for giving back to others, especially the first home of his sons, matches his enthusiasm for business and his desire to make the world a better place. He keeps busy as a father of four, in addition to finding time to play catch, golf, fish and take his lovely wife out on dates. Doreen attended college at the University of Wisconsin-Eau Claire, majoring in Organizational Communications. After meeting her husband, David, they settled in Woodbury, MN with their daughters, Megan and Anna. After a lot of prayer and paperwork, in January 2015, they were finally able to bring their son, Stanley, home to Minnesota. They are very thankful to all the great staff at the orphanage, A New Arrival Center, in Haiti, for loving on him over the years. Doreen is passionate about using her organizational skills to help Kozefò make a difference in Haiti by supporting the ANAC school, planning group mission trips and spreading the word about providing every child an opportunity to receive a great education. Ann was first connected to Haiti in 2011 after her friends, Sara and Breelynn, spent a month living at A New Arrival Center. She loved hearing their stories and passion for the people of Haiti. Her heart has always had a beat for kids (especially teenagers), education, sports, justice and ministry to the less fortunate. In 2012, Ann and her husband, Scott, started the adoption process for their sweet son, Davinsly (Vinny), who had been living at ANAC since August of 2011. He finally came home in January 2015 and has brought so much joy to their family! Their daughter, Cali, is 19, and son, Will, is 17. Ann earned a degree in Social Work and license in Secondary Education from Bethel University. She recently spent 5 years on the finance team for a Christian camp and has brought that experience to Kozefò. Ann is now employed full time as a wife and mom and part time as the Program Administratorat Together for Good, a non profit ministry in foster care prevention and family preservation. When she gets some free moments, she loves reading, traveling, watching her kids play sports, and spending time with her friends and family. Amy lives in Annandale, Minnesota with her husband, Craig, two children, Hannah and Sam, and two dogs, Charlie and Henry. Amy is a school social worker at Annandale Elementary School. She loves to travel, laugh, listen to the loons and the waves, and has a passion for connecting with friends and strangers alike to hear their stories, experiences, and adventures. Amyhas always had a heart for justice, education, peace and standing up for those less fortunate. When Amy met her dear friends, co-directors, Scott and Lori‚ and their adopted sons, Eli and J.P., she knew that Haiti would be a place that would be calling her name someday and etched in her heart always. She is honored and humbled to be part of the Kozefo mission. Penny grew up in a farming community outside of Pana, IL. After high school, her passion and training for the travel industry landed her a position at Air Midwest where she worked several different jobs on the customer service side of the airline business. It was in late 1989 while working at the airport in St. Louis MO that she met her husband, Steve. They were married in 1992 and came back to Maplewood MN in early 1997. They have three children, Ashley, Stephen and Sarah, and have been active members of the Woodbury Community Church. Penny left the airline business to be a full time mom, and when the kids were in school, she began volunteering and later working in a variety of clerical and para-professional positions at Carver Elementary School. Most recently she has been working as an attendance secretary at North St. Paul High School. Penny’s passion is working with kids and she also has the great gift of planning and organizing any group activity where people and food are involved. In her spare time, Penny enjoys family time, cooking and baking, and attending her kids sports events. Penny has recently taken the role of Kozefò's travel agent. Steve Asper is a husband to Faith and father to two boys, Espen and Stian. He has worked in instructional technology for 6 years and is currently the Technology Support Manager for White Bear Lake Area Schools. Steve is a licensed teacher of French, English as a Second Language, and Elementary Education. He taught 3rd grade at the French immersion school in St. Paul for 5 years. In addition to French, he also speaks Norwegian, which he has taught at the Concordia Language Villages over the past 25 years. Steve has a Bachelor of Arts degree from Concordia College, in Moorhead and an Master of Education degree from the University of Minnesota. Steve has served on multiple mission trips to Haiti, with Healing Haiti and Kozefo. He is passionate about children, the importance of learning other languages and cultures, technology in education, and music. Breelynn attended the University of Wisconsin-Eau Claire, and graduated with a degree in Social Work with a certificate in Organizational Communications. She now works as a Social Worker in South Saint Paul. Her heart and passion for Haiti began nine years ago when her cousin Eli was adopted from A New Arrival Orphanage in Haiti. After spending a month living in Haiti with her mom Sara (director), it was made clear that her involvement in Haiti would be a lifelong partnership. Laura attended the University of Minnesota - Twin Cities and graduated with a bachelors degree in Graphic Design. She is passionate about art and design and seeks to create fun and exciting solutions through visual communication. She currently works as a Graphic Designer at the University of Minnesota while living in Atlanta, Georgia. Laura also uses her passion for design to help Kozefò stand out online, on social media, and on print.